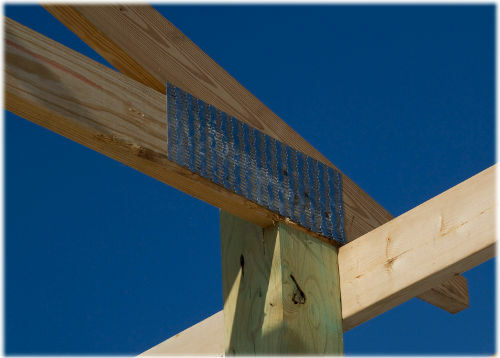 Obtaining the right hardware and fastening up your building is as important as anything else you do during the construction process. 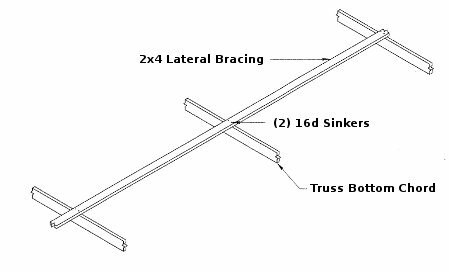 Some common hangars used are Simpson H2.5a rafter ties (trusses too) and LU26 hangars for purlins (purlin hangars = labor intensive). 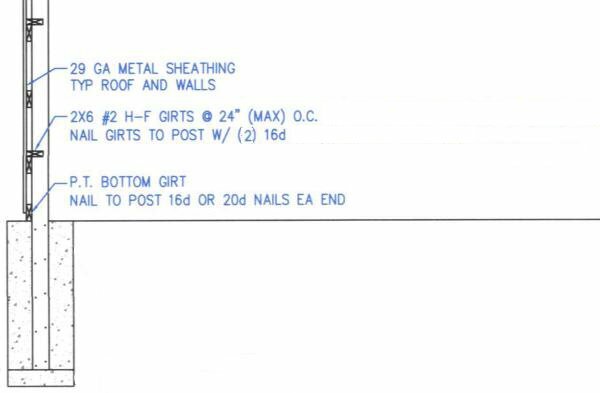 Pole barn nails (ring shank galvanized nails) for framing and fastening are readily available anywhere in the country and typical sizes are listed below including some drawings displaying connection details for each. 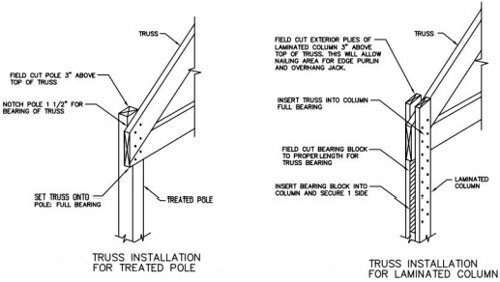 Pole barn framing nails are typically in the 16D to 20D sizes, truss connection 40D and 60D for 2x6 purlins on edge (used for post spacing trusses). 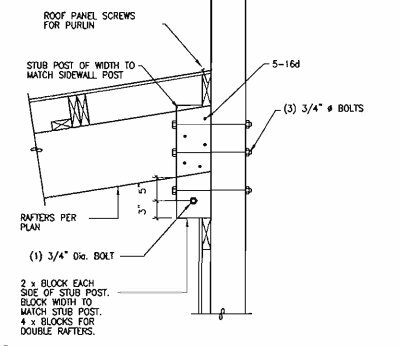 3D .083 1 ¼" 13⁄64"
4D .109 1 ½" 1⁄4"
5D .109 1 ¾" 1⁄4"
8D .134 2 ½" 9⁄32"
12D .148 3 ¼" 5⁄16"
16D .165 3 ½" 11⁄32"
30D .220 4 ½" 7⁄16"
Copyright © APB Pole Barns 2016. All Rights Reserved.